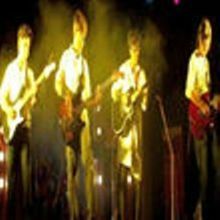 MuZik StreeT as a band was born at Asansol, West Bengal, India. The initial line up contained 7 members and then as of now they have concreted down to 5 (the usual stuff)! Music as a full time career option was not really appreciated by guardians of the band members, yet overcoming all odds and obstacles the band is still alive and rocking since the past 5 years. Why Book Muzik Street Through ArtiseBooking?